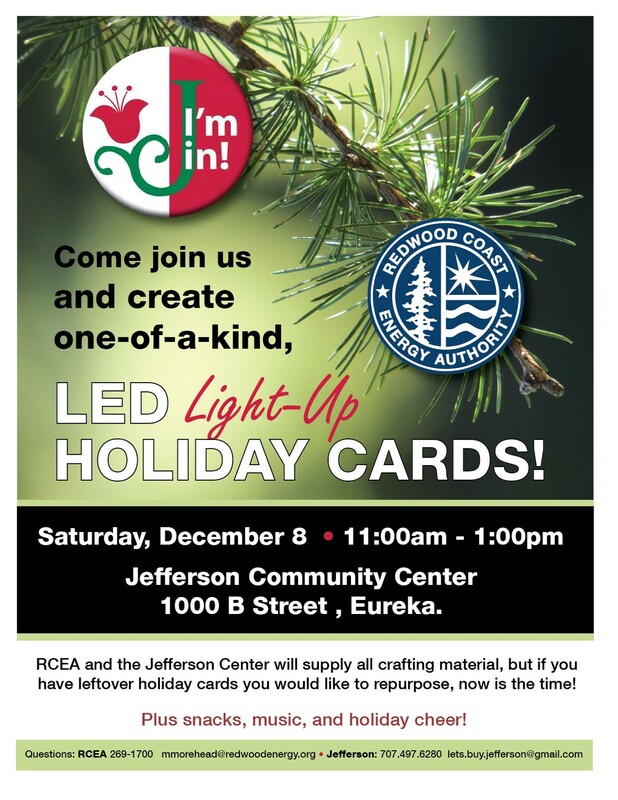 Join RCEA on Saturday, December 8th to make Holiday Cards with LED lights! 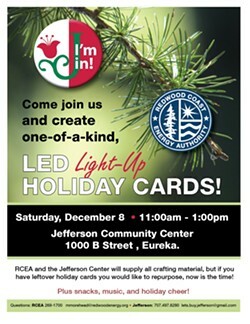 We will be crafting at the Jefferson School, 1000 B Street, Eureka, from 11am-1pm. Crafting supplies, snacks, music and fun provided!